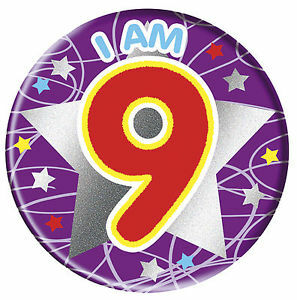 Somehow, some way, Plain Or Pan has turned 9. Or, to be more accurate, is just about to turn 9. But at this time of year, when you can never be entirely sure if it’s Sunday morning or Thursday night and inspiration goes out the window along with routine and work ethic, it’s tradition that I fill the gap between Christmas and Hogmany with a potted ‘Best Of‘ the year compilation, so I’ve always made this period in time the unofficial birthday for the blog. Not that anyone but myself should care really; blogs come and go with alarming regularity and I’ve steadfastly refused to move with the times (no new acts here, no cutting edge hep cats who’ll be tomorrow’s chip paper, just tried ‘n tested old stuff that you may or may not have heard before – Outdated Music For Outdated People, as the tagline goes.) But it’s something of a personal achievement that I continue to fire my wee articles of trivia and metaphorical mirth out into the ether, and even more remarkable that people from all corners of the globe take the time out to visit the blog and read them. From the bottom of my heart, I thank you, one and all. Since starting Plain Or Pan in January 2007, the articles have become less frequent but more wordy – I may have fired out a million alliterative paragraphs in the first year, whereas nowadays I have less time to write stuff and when I do, it takes me three times as long to write it. To use an analogy, I used to be The Ramones, (1! 2! 3! 4! Go!) but I’ve gradually turned into Radiohead; (Hmmm, ehmm, scratch my arse…) Without intending it, there are longer gaps between ‘albums’ and I’ve become more serious about my ‘art’. Maybe it’s time to get back to writing the short, sharp stuff again. Maybe I’ll find the time. Probably I won’t. The past 9 years have allowed me the chance to interview people who I never would’ve got close to without the flimsy excuse that I was writing a blog that attracted in excess of 1000 visitors a day (at one time it was, but I suspect Google’s analytics may well have been a bit iffy.) Nowadays, it’s nowhere near that, but I still enthusiastically trot out the same old line when trying to land a big name to feature. Through Plain Or Pan I’ve met (physically, electronically or both) all manner of interesting musical and literary favourites; Sandie Shaw, Johnny Marr, Ian Rankin, Gerry Love, the odd Super Furry Animal. Quite amazing when I stop to think about it. You should see the list of those who’ve said they’ll contribute then haven’t. I won’t name them, but there are one or two who would’ve made great Six Of the Best articles. I’m not Mojo, though, so what can I expect? 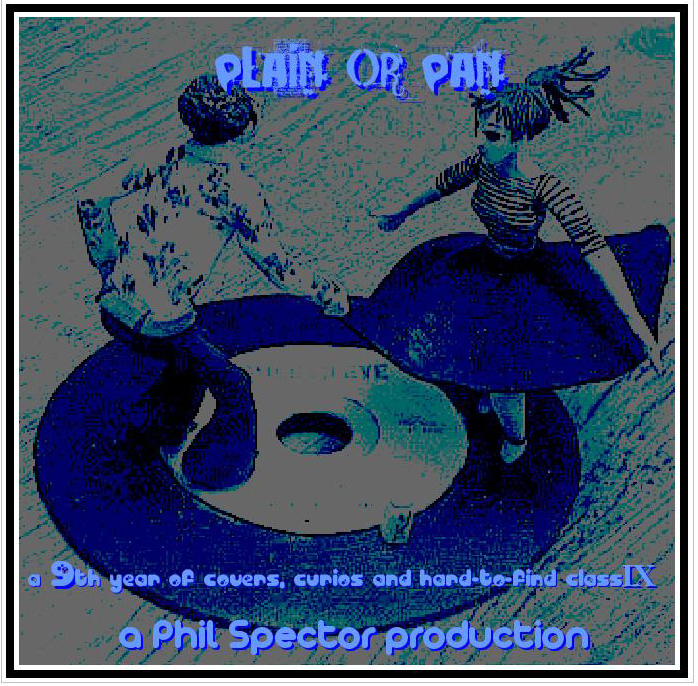 And there you have it – the regular mix of covers, curios and forgotten influential classics, the perfect potted version of what Plain Or Pan is all about. A good producer would’ve made the tracklist flow a bit better. I just took it as I came to them; two from January followed by two from February followed by two from etc etc blah blah blah. You can download it from here. See you in the new year. First up, Rufus Wainwright. Cheers! 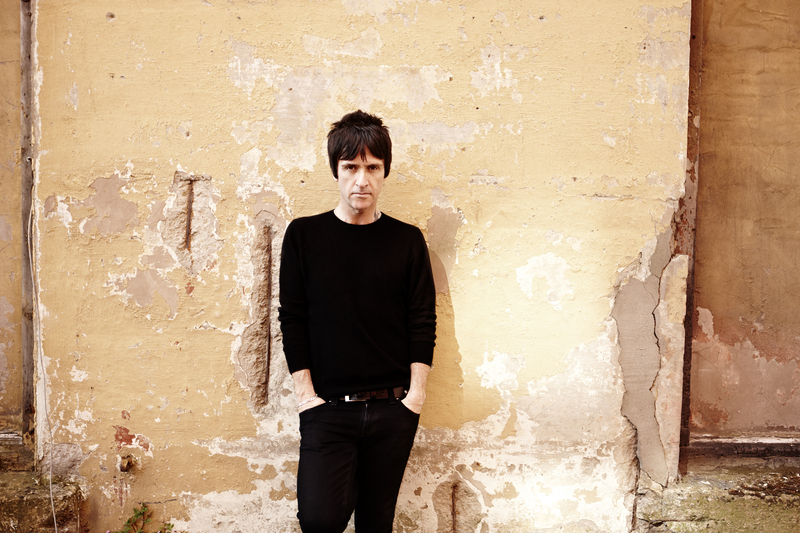 Johnny Marr is the wunderkid guitar player who, one day in 1982 knocked on the door of 384 King’s Road in the Stretford area of Manchester and encourgaged the bequiffed answerer to be the wordsmith that would sing atop his unique tunes. Together, they formed a partnership that would over a few short years become the most unique British guitar group of all time. To many of a certain age they were our Beatles, our Pistols, our band. There was no-one like them before and there’s been no-one like them since. 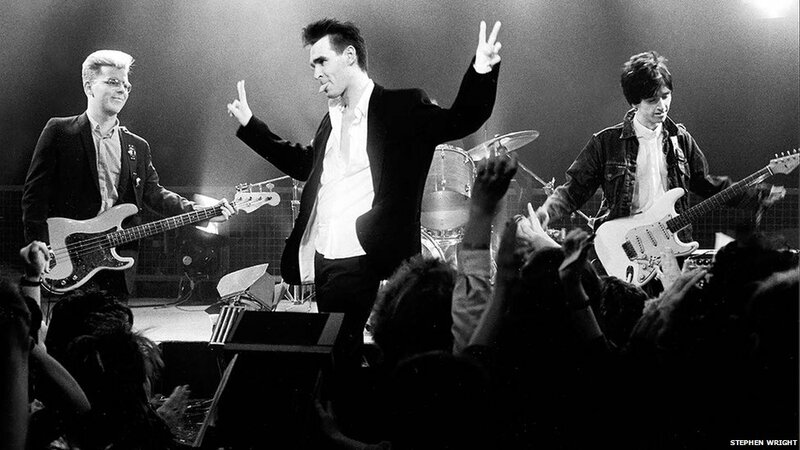 From the first time I heard them (unusual for such a seismic event, I can’t actually remember when this was), The Smiths became my favourite band and, as a ham-fisted, fat-fingered guitar player with lofty ambitions, Johnny Marr became my instant hero. With a guitar in his hands, Johnny is a magician. In The Smiths, brightly ringing, sparkling arpeggios fell from his fingers as regularly and as rhythmically as the Mancunian rain. Over the course of one memorable weekend the barely 21 year-old Johnny wrote three of the tunes that would define not only his band but an entire era; William, It Was Really Nothing, How Soon Is Now? and Please, Please, Please Let Me Get What I Want were all committed to tape in order to have something new to present to producer Stephen Street come the Monday morning. Three time-tested classics. One weekend. 21 years of age. Unbelievable. As a Smith, Johnny wrote an obscene number of brilliant, inventive tunes. Lazy writers would go on about his ‘chiming‘, ‘jangly’ guitar sound, but there was far more to his arsenal than that. There was always, even in the Smiths’ most tender moments, a bite to his guitar. He could fingerpick. He could play inventive chord patterns. He could fingerpick and play an inventive chord pattern underneath it at the same time, with 10 fingers sounding like 25. ‘Like Lieber and Stoller piano lines playing alongside the guitar‘, to misquote him from those early days. Then there were the open tunings, the Nashville tunings, the hitting of the strings with knives to get the desired effect. He reinvented the wheel. I explain to Johnny that our interview will be in two parts. The first part will focus on his recent work, his upcoming tour and his in-the-pipeline autobiography. The second part will focus on his Six Of The Best, albeit a 6otB with a difference. But more of that later. Tell me about the last couple of years, then. It seems to me that it’s been quite full-on and intensive – two albums (The Messenger and Playland) written, recorded and released in two years and toured around the world and back again. This is the sort of behaviour I’d expect from a band with it all to prove, not from someone who’s made his mark in the world and who, by now, should be sitting back admiring his body of work from the comfort of an easy chair. I’ll take that as a compliment. I really enjoy my work. It’s what I do and I’m good at it. It’s actually been 10 years of non-stop action! I joined Modest Mouse in 2005, just in time to record the ‘We Were Dead Before The Ship Even Sank’ album. That album really took off in the US and we toured there for a few years. It was pretty great, playing in a band again. Then, as fate would have it, Modest Mouse decided to take a break from touring and at the same time, The Cribs asked me to join as a guitar player. Without so much as a pause, it was back to being full-on and intense all over again. But I like that. I’m not into taking a year off. Over my time in The Cribs I collected lots of ideas for songs. My travels informed what I was writing about, and as I wrote I had a specific sound in my head for a group that could play them. It was important to me that the band I put together should operate like the best bands; we should live in the same city and we should all be friends. I’m lucky that my best mates also happen to be the bass player, the guitar player and the drummer in my band. The Messenger was released in 2013 and was really well-received. This gave me the encouragement to keep going, and I got on a bit of a roll. The songs that ended up on Playland the following year were very much a narrative for city life. I’ve always seen the two albums as a pair. Playland was my ‘difficult second album’, but I think I pulled it off. It sounds vital and NOW! 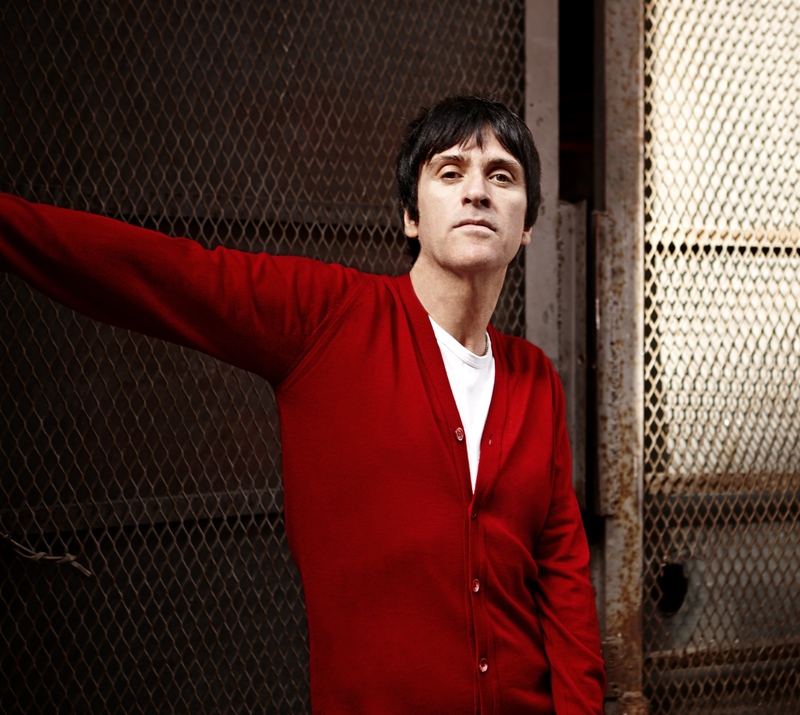 I point out that, from The Smiths via Electronic and The The to Modest Mouse and The Cribs, Johnny Marr has had a lot of ‘difficult second albums’. Ha! Yeah! That’s true. ‘Meat Is Murder’ was a pretty good 2nd album, wasn’t it? I’ve always been a fan of them – I loved Talking Heads and The Only Ones second LPs. You don’t always have the luxury of having a long time to write your follow-up album. Usually, they’re written on the hop. Both Talking Heads and The Only Ones were made under the conditions conducive to getting the job done. Yeah. The live album. I’m really proud of it. It’s a really good document of the time. I’ve kept it to one CD (although it’ll be a double LP) as it’s short ‘n sweet and doesn’t outstay its welcome. It’s a good representation of the live set. Hopefully, people who come to the shows will enjoy it as a reminder of what the shows were like, and those who never made the shows will get an idea of what the live set is all about. I wanted it to sit alongside my favourite live LPs, albums like Bowie’s ‘Stage’ and Iggy’s ‘TV Eye’. I remark that my favourite live album is The Ramones’ ‘It’s Alive’. Oh yeah! The energy on that is amazing. D’you know, I stole my copy! I wasn’t sure I was going to like it, so I ‘borrowed’ it from the local newsagent and never gave it back. It’s a brilliant album, isn’t it? Like all the best live albums it has volume and energy. Hopefully, people will get that from Adrenalin Baby. 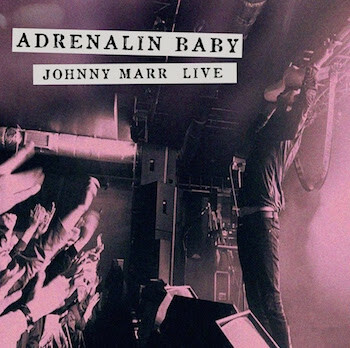 Adrenalin Baby is a good potted history of Johnny’s best bits – half a dozen or so tracks from The Messenger/Playland eras, a cherry picking of the Smiths tracks he plays live, Electronic’s perennially melancholic Getting Away With It and a garage band ramalama run through of I Fought The Law. It’s Alive indeed. Looking at the tracklisting of the album and scrutinising the playlists from the recent tours, it’s clear that Johnny holds his back catalogue dear to his heart. This is where my idea for this Six Of The Best came from – if Johnny were to put 6 of his own tracks into a time capsule to be dug up in 100 years time, which tracks would he choose? 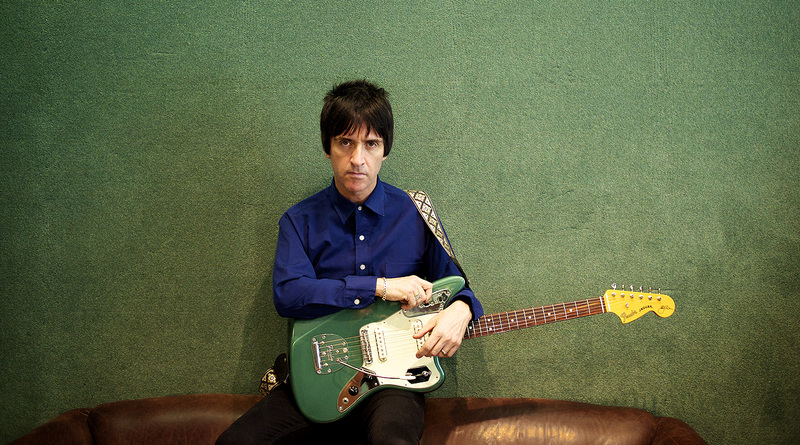 What are the tracks that Johnny Marr is defined by? You want me to pick my own tracks? Cool! I’ve never been asked that before. Usually, everyone wants to talk to me about The Stooges. You want me to pick my own records? Alright then. Let me think about that. And think about that he does. Johnny then very methodically gives me a chronological list of what he deems to be his best bits. An impossible task, most folk would agree (and a final choice that many would also disagree on), but, for the record, here are the tracks that Johnny Marr is most proud of having been involved in. Y’know? The Smiths really blew me away. I’m defined by them and I can quite happily live with that. The combination of guitar sounds on How Soon Is Now? is amazing. The layering. The patience required to put it all together….it hadn’t been done before and it hasn’t been done since. I’m very proud of How Soon Is Now? The band was borne out of The Smiths and New Order, but sounded like neither. We were very unique. Bernard and myself had a real spark. Get The Message is a great example of what we do best. Those early days in Electronic were great fun. I remember the first tour, drinking pints of champagne after an insane Barrowlands show. I can only play harmonica one way (! ), and it’s all there on Slow Emotion Replay. The guitar part – it’s what people think I sound like. You and I know differently, of course. This is the track that kind of kicked off the 1st phase of my ‘new’ career. When we wrote the album, all my guitar parts were worked out in advance. I spent ages with my effects pedals making mad Captain Beefheart sounds until I discovered what I was looking for. I’m extremely proud of the guitar sound on the whole record. Everything you can hear in the left-hand speaker is me, doing my best Beefheart impression. I’ve chosen this for the same reasons as Slow Emotion Replay. The guitar playing – classic me, isn’t it?!? This song is a good representation of how I like to sing. I was never known as a singer, but I’m comfortable doing it. The Messenger is kinda post-punk in feel, jagged and spiky but the vocals are warm and textured. I like that juxtaposition. Never one to look back, Johnny is always looking forward to the next thing. After “10, 15 years of offers”, now is the right time for him to commit his memories to print in the form of an autobiography. We have a wee chat about music autobiographies in general and enthuse about Keith Richard’s book, specifically the section where he talks about discovering open G tuning and how that opened up a whole new world of guitar playing. Whether he will or not remains to be seen, but what a great way to finish an interview! 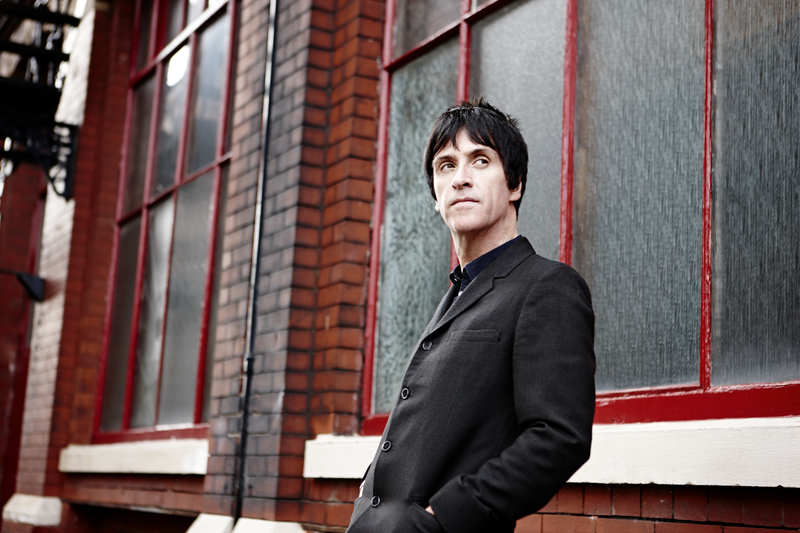 Johnny Marr is on tour this month. Check all the usual places for ticket details. 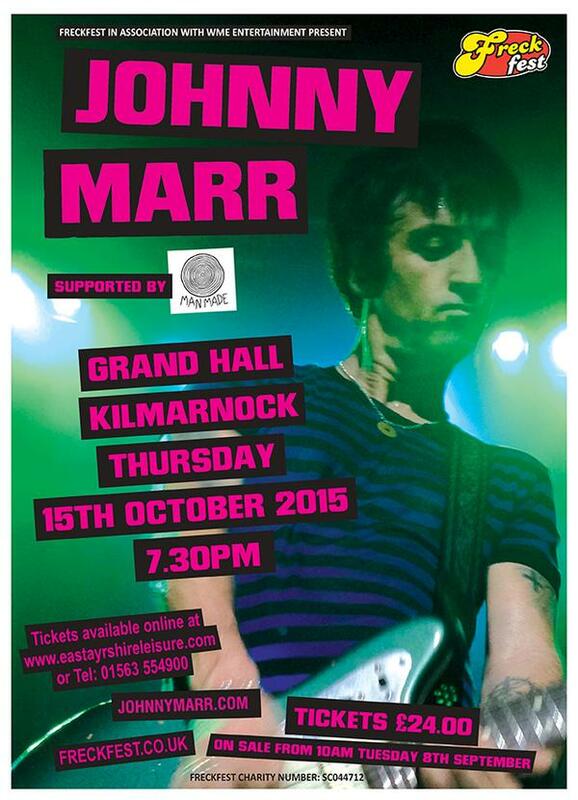 West of Scotland fans might like to get themselves to Kilmarnock for his only date in the area on Thursday 15th October. See you down the front.